When the days get shorter and the nights get cooler, many boat owners in Redlands, CA, decide to find an off-season storage solution for their crafts. Many experts recommend a dry dock or indoor storage solution boats that will not be used for long periods of time. However, it is important that the boat be properly prepared for storage. Time out of the water can be hard on a watercraft, as inactivity can accelerate wear and tear. In order to avoid sending the boat for repairs when you are ready to use it again, the experts at Vines Storage offer these tips. Start with a clean boat. Not only will a clean vessel withstand the time in storage better, it also reduces the amount of work when you are ready to put it back in the water. Vines suggests washing the topsides, bottom and deck, and cleaning all hardware and trim. Blistering should be treated before storing the boat, as it can get worse over time. Flush the lines. It is important to give the engine a fresh water flush in order to remove dirt, salt, and corrosion. If you have an outboard motor, make sure that all water is drained from the engine. Top off fluids. Fill the gas tank to keep condensation from building while the boat is in storage, and consider adding a marine fuel stabilizer. Also be sure to change the oil and oil filter. Look for the little things. A boat is full of many small, but important, systems that should be checked and lubricated before storing it for a long period of time. Take a walk around the boat and apply lubricant to all of the metal parts like hinges, latches, and push-pull switches. Remove moisture. Puddles or areas that are damp can start to mildew over time. Check the boat for any standing water, remove cushions, and use a moisture absorber to prevent mold or mildew. Clean out the boat. You may be tempted to leave your lifejackets, ski ropes, and other water gear exactly where they are on the boat. However, these items can contribute to the gathering of dirt and moisture. Find a place off of the boat to keep these items. If you are searching for a place to store your boat, consider Vines Storage. As an indoor, climate-controlled facility, we offer the storage solution you need to protect your boat from outdoor elements, damage, or theft. We offer a convenient location, extended hours, 24/7 security and surveillance, and excellent client amenities. 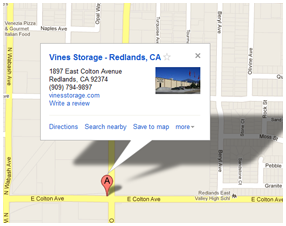 For more information about our storage solutions in Redlands, CA, call Vines Storage today at 909-389-6209. Should you choose an indoor boat storage facility in Redlands?